פורטנוי מתאר את המוזיקה כפרוגרסיב מטאל עם נגיעות של קלאסיק רוק. יהיה מעניין, זה בטוח! בקרו אותנו בפייסבוק למידע נוסף ותגובות על הפרויקט החדש! 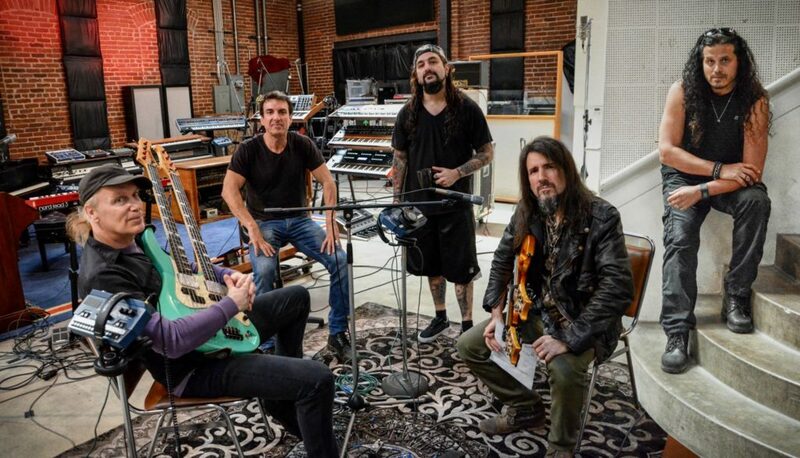 For the past few months, rumors have been circulating about a new secret project including former Dream Theater members Mike Portnoy and Derek Sherinian. Now, the time has come to make the grand and highly anticipated introduction to their new band, SONS OF APOLLO. PSYCHOTIC SYMPHONY was produced by the dynamic production duo of Portnoy and Sherinian, also affectionately known as “The Del Fuvio Brothers,” which is the nickname given to them over 20 years ago during their time together in Dream Theater. Mike Portnoy, Derek Sherinian and Billy Sheehan previously toured together in 2012 and 2013 as PSMS (along with guitarist Tony MacAlpine), playing all instrumental versions from each of their previously recorded music. SONS OF APOLLO is the next logical progression by adding a vocalist and creating all-original material. The band incorporates the progressive style and individual technical prowess that Portnoy & Sherinian shared together in Dream Theater combined with the swagger and groove of Van Halen, Deep Purple and Led Zeppelin. SONS OF APOLLO will hit the road in 2018 for their first worldwide tour. « פרוייקט פרוג מטאל חדש מטעם פורטנוי באוגוסט 2017?